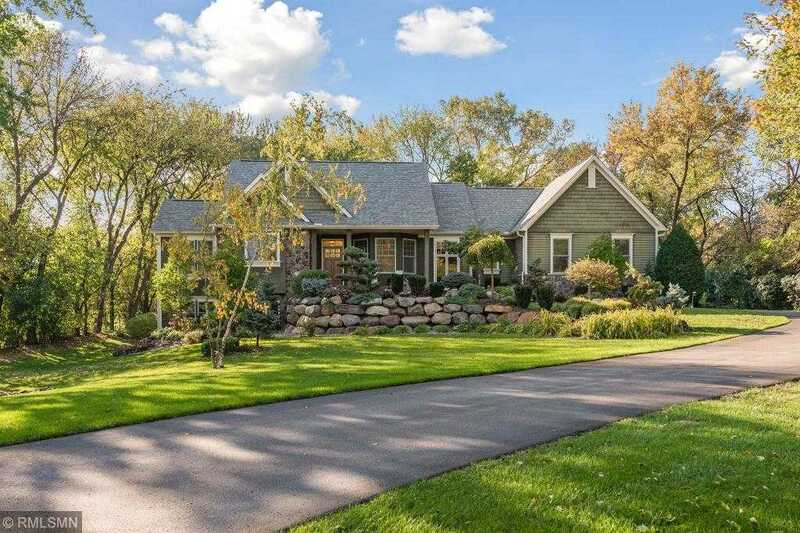 Incredibly updated home tucked away on a tranquil 1+ acre setting surrounded by mature trees and fountains! Enjoy main level living with high ceilings, gorgeous cove moldings, arched doorways, art niches, cherry hardwood floors and high-end features throughout. Screened-in porch overlooking the award-winning gardens and private backyard. The walk-out lower level is ideal for entertaining with a spacious family room, wet bar, wine cellar and three bedrooms. Premier Minnetonka schools. Directions: Highway 7 to north on Vine Hill Road. Home is on the west side of the street. Please, send me more information on this property: MLS# 5144521 – $899,000 – 4936 Vine Hill Road, Deephaven, MN 55331.